First Lesson with the bevel and emboss tool is down below. 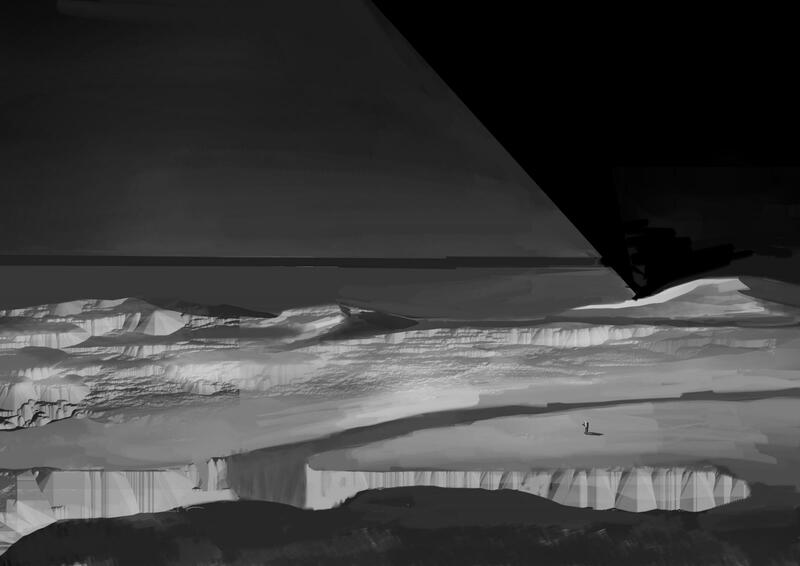 I had to give more story to the otherwise plain lunar backdrop, trying to see definitive shapes out of the vague forms in the thumbnails. I made two simple stories: the first was about fixing these solar panels on the moon's surface, which power a series of ablative laser arrays. 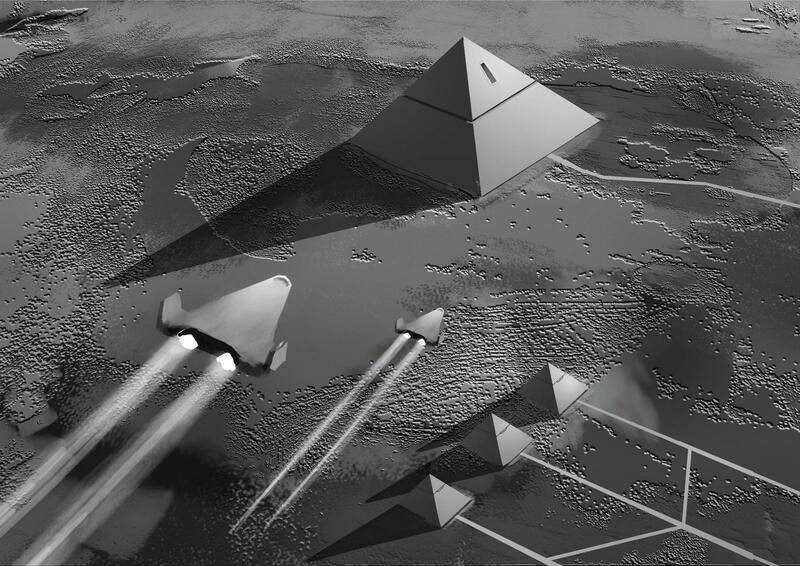 These go on to push starships and cargo deep into space. 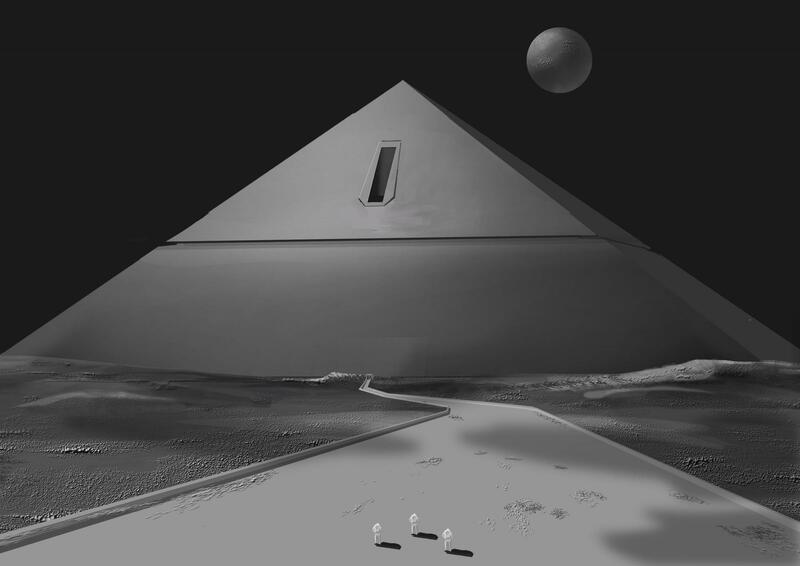 The second (and perhaps more exciting) story deals with pyramids... in SPACE! 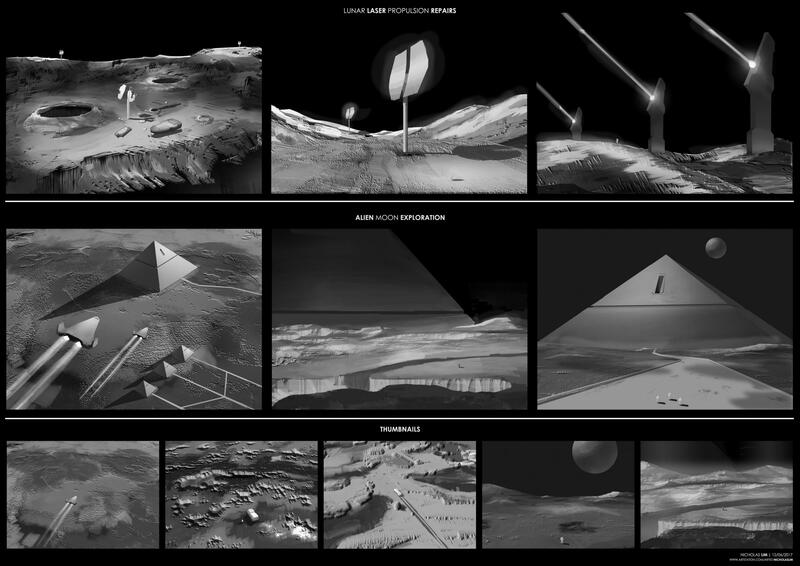 The final compiled image has the images put in left- to-right reading sequence.